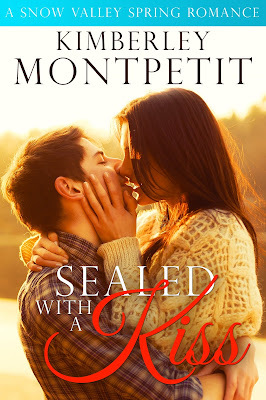 Kimberley Montpetit: SEALED WITH A KISS is here! SEALED WITH A KISS is here! Spring is getting closer! Which means allergies, pink popcorn blossoms on the trees, walks under the cottonwood trees, AND a new Romance Novel! I'm thrilled to show off the brand new published SEALED WITH A KISS, the continuing story of ballerina Jessica Mason and James Douglas, small-town pastor of Snow Valley, Montana from RISKING IT ALL FOR LOVE. Readers have wanted to know what's been happening over the last year since Jessica and James first met and fireworks flew; not only because they were attracted to each other, but because Jessica kept pushing him away. She was not a girl who ever dreamed she'd date a pastor! It's funny, a little irreverent, and very romantic. Can Jessica and James make their long-distance relationship work, or do they allow their hearts to move on and forget the passion they once shared? Enjoy romance with humor and a little bit of sass. I'm so pleased to say that previous Snow Valley titles have hit the #1 Amazon Bestseller spot. Thanks so much for reading! 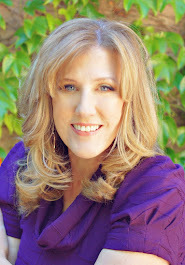 If you'd like to sign up for my newsletter to get recipes, giveaways, and upcoming book news go here: Kimberley's Newsletter. I promise it doesn't go out more than once every 6-8 weeks during the year. SEALED WITH A KISS is such an amazing book to read and the best thing about this is that it is based on a love story. RapidTone even accelerate your body's metabolism which can help you lose weight faster and keep your energy all daily.